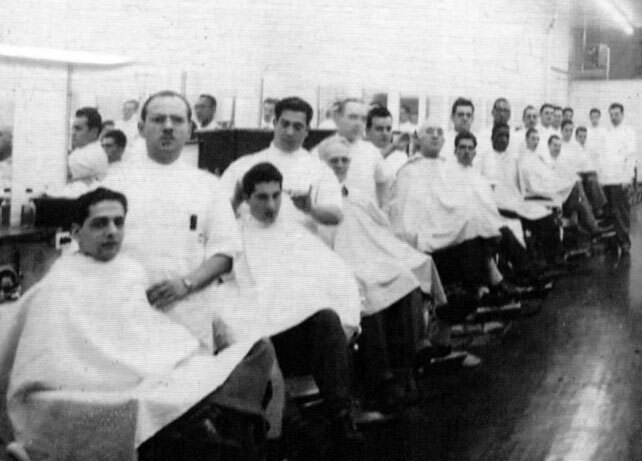 Franco's is designed like a 1920's barber shop, just like it was when Frank's grandfather Franco Cipriotti started in the business. Located in a private area of the Rizzieri Salon & Spa in the Moorestown Mall you will find an inviting space that makes our guests feel they have stepped back in time. We are a third-generation family owned business in southern New Jersey. Our facilities, reputation, and talented staff excel in our craft, creating a one of a kind guest experience. We look forward to hearing from you. Now Franco's Comes to You! Franco's is proud to announce our new venture Franco's On Location. Launched in late 2017 our custom Airstream barbering trailer is now on location. Weddings, private bookings, corporate events, college campuses, and more. Contact us about our special rates and packages.